Das Keyboard was founded in Austin Texas back in 2005, and was born out of the drive for personal improvement. The founder Daniel Guermeur created a totally blank keyboard to help increase his own typing speed and accuracy, the result, he managed to double his typing speed after just a few weeks of use. After further testing and improvement he sought the opinion of his friends and colleagues who were mesmerised by the experience the first creation offered, thus Das Keyboard was created. Now we are fast approaching 2019, and Das Keyboard is still going strong. Today we will be taking a look at their latest offering which is the X50Q. This isn’t a mechanical keyboard as you know it and offers a feature that we have never come across before. What Das Keyboard has done is to use their experience to blend mobile esque notifications with this keyboard and their QSoftware suite. This may not sound groundbreaking, but this is a - as far as we are aware, is the first of its kind, making it a big deal and potentially a new feature that we could see become more mainstream in the near future. New features aside let's look at the gaming and in-use aspect of the Das Keyboard and it puts on a good show, it uses Omron made Gamma Zulu switches which offer an industry first 100 Million key press lifespan, that is double what most other mechanical switches offer. The X50Q also offers full N-key rollover with 100% anti-ghosting as well as a volume control knob, RGB and a whole host of other features. The question is, can Das Keyboard successfully merge the new with old to create a coherent user experience? Let's find out. 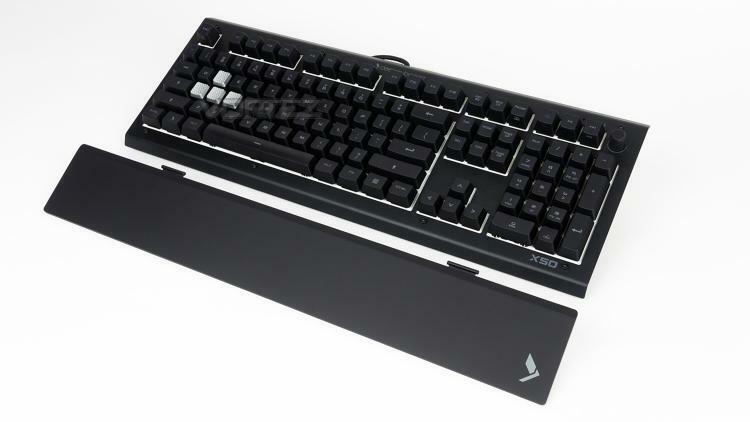 The Das Keyboard X50Q is the world’s first Smart Gaming Keyboard. Push your information straight to your keyboard to create a visual dashboard. The X50Q is an edgy crossover keyboard that makes it the ultimate computing tool for the champion gamer and ace professional alike. It debuts the world's most advanced mechanical Gamma Zulu switches with ultra-quick, responsive feedback. 2x brighter RGB+ with 16.8M Colors. It is a revolutionary smart, cloud-enabled, open API, RGB mechanical keyboard.